President Donald Trump is threatening to close the southern border between the U.S. and Mexico to prevent the migrant caravan packed with thousands of Central American refugees from crossing into the U.S. The caravan is crossing migrants fleeing violence and civil unrest in San Pedro Sula, Honduras, through Guatemala to Mexico, with the goal of reaching the U.S. It left Honduras on Saturday. 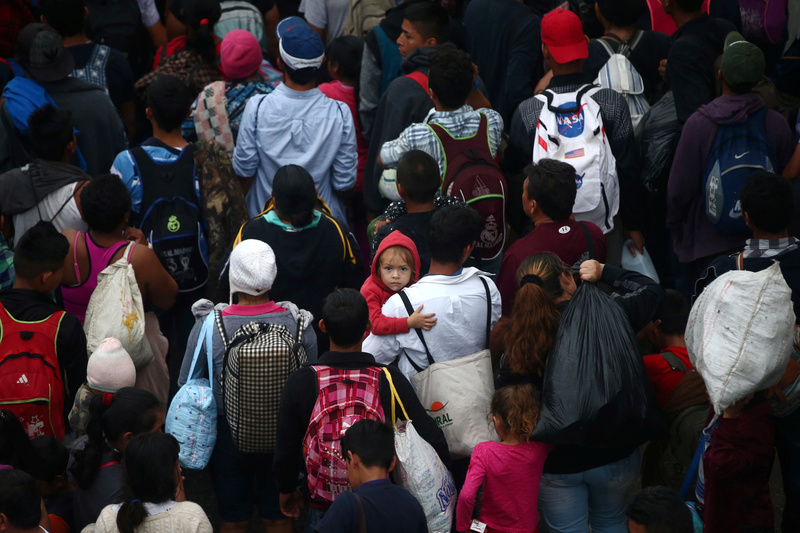 Trump has urged Central American leaders to stop migrants from fleeing their countries to the U.S. and has threatened to rescind monetary aid to those countries if they fail to do so. The president took to Twitter on Thursday to blame Democrats for the influx of migrants headed for the U.S., citing their resistance to Trump’s agenda to build a border wall with Mexico and enforce stricter immigration policies. Trump indicated he considers halting migration at the southern border to heighten control even more important than ongoing negotiations with Mexico over the United States-Mexico-Canada Agreement.